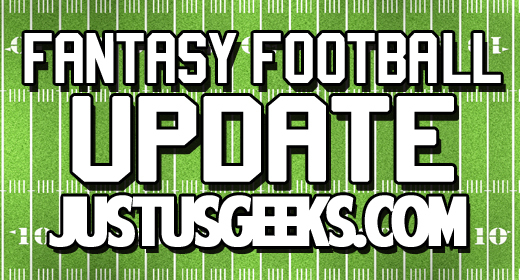 Alright Fantasy Football fans, it’s time to register for our upcoming JustUs Geeks Fantasy Football League! This is a 12-team league and the spots are going FAST! Register today to take on the JustUs Geeks! The LIVE online draft is THURSDAY, AUGUST 23rd! We’ll draft LIVE and record our draft via Skype, so make sure you have an internet-ready device to handle the live draft and Skype!